Die Musik dieses Album ist inspiriert von mystischen und musikalischen Traditionen aus der ganzen Welt. Westliche, östliche und orientalische Instrumente verschmelzen, werden eins. Mögen diese andachtsvollen Reisen dich zu Liebe und Meditation leiten. Jedes Stück ist ein Gebet, ein Gebet an die Liebe. Gebete machen uns passiv und demütig und Liebe öffnet uns für dieses magische Sein. Instrumente: klassische Gitarre, Elektrische Sitar, Gu Zheng (Chinesische Harfe), Piano, Percussion, Keyboards und Programming. Die Künstlerin Tanmayo mit Violine und Gesang.In this music, inspired by mystical and musical traditions from around the globe, Western, Eastern and Far Eastern instruments weave and blend with each other... becoming one. May these prayerful journeys lead you towards love and meditation. 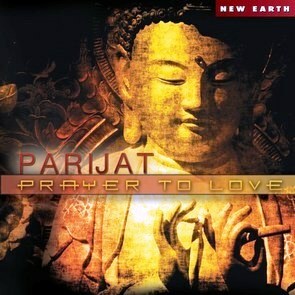 Each piece on this album is a prayer, a Prayer to Love. It is Prayer, which lets us be passive and humble. And it is Love, which opens the door to this magical existence. I created this music out of gratitude that Love exists… Love is such a miracle, a blessing, descending on us and arising in us. If we were able to live this life with an attitude of Prayer and an open heart, this world would be much more beautiful. Instruments: classical guitar, electric sitar, gu zheng (Chinese harp), piano, percussion, keyboards and programming. The artist Tanmayo with violin and vocals.